Family: Chloroplasts plate-like or ribbon-like; sexual reproduction by isogamy. 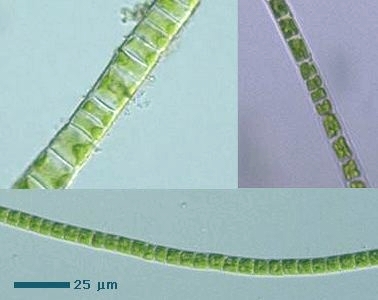 Genus: Without gelatinous sheath; filaments consist of many cells; rhizoid formed at one end (Illustrations of The Japanese Fresh-water Algae, 1977). Cell body more than 20 μm in diam. Cell body 10-20 μm in diam. Cell body less than 10 μm in diam.